The only time you will catch me slumming it with any show from The CW is catching up on Arrow and Flash via Hulu. 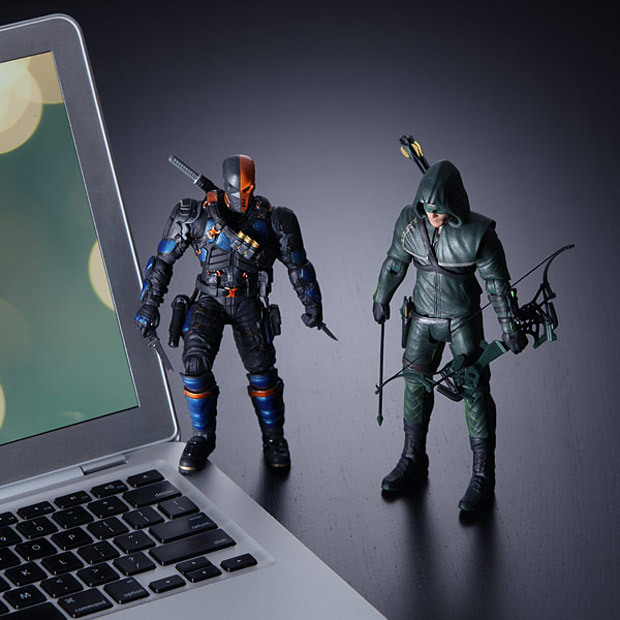 I like both of those shows and each time I watch I think how much cooler the Arrow is than Hawkeye. 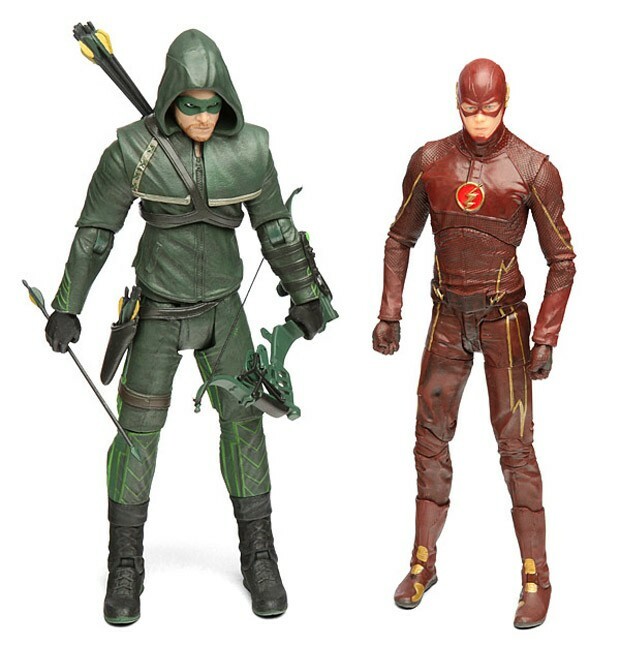 If you are a fan of those CW shows, some new action figures are here to take your money. 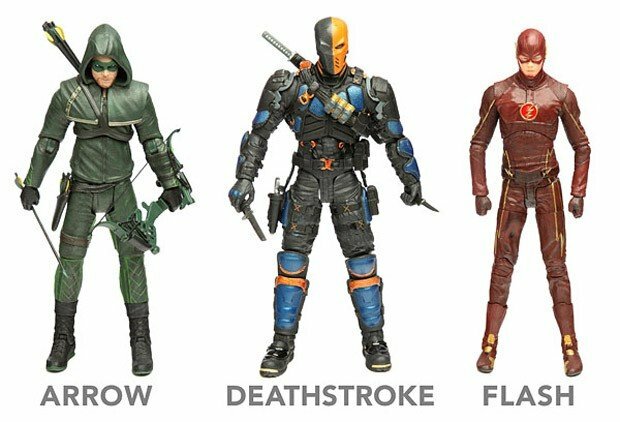 From Arrow you can get Arrow himself or Deathstroke. I really want Deathstroke to get his own series; he is my favorite bad guy. The 6.75-inch tall action figures each have 12 points of articulation. Arrow has his bow, arrows, and a quiver as accessories. Deathstroke gets a pistol, katana, and a pair of knives. The Flash gets nothing but a geeky look and fancy red suit. You can get all three at ThinkGeek for $24.99 each.